You may or may not have heard of Joanna Shields, but even a casual glance at her CV will tell you that she is a quite remarkable woman. 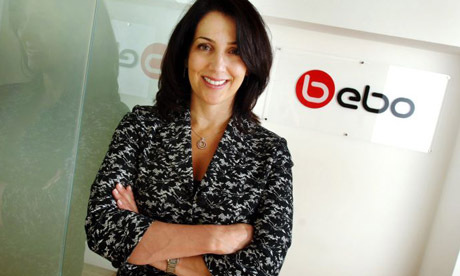 Having previously worked as a Managing Director for Google, Bebo and AOL, Shields joined Facebook in 2010 to oversee operations in Europe, the Middle East and Africa. In 2011 Wired Magazine ranked her #1 in their ‘Wired 100’, an online survey to find the UK’s most influential digital figures. In January 2013 Shields will be leaving her role at Facebook to move to London. Her new role will be with the Tech City Investment Organisation where she will be directly responsible for developing investment in ‘Silicon Roundabout’, the developing Tech City area of London. In the words of Prime Minister David Cameron, Shields’ “experience will be hugely valuable in supporting Tech City as it goes from strength to strength”. You might be wondering what this appointment has to do with website design. The appointment of Joanna Shields underlines the seriousness of the government’s intention to transform London into one of the world’s most prominent tech locations. It is hoped that a flurry of start-up companies will begin trading on the stock market, and pave the way for the next Google or Facebook to be birthed on this side of the Atlantic. It is also anticipated that the legislative framework required to launch new ventures will be relaxed in an effort to attract entrepreneurs and start-ups to the UK. With the future of the British economy looking increasingly dependent upon the technological sector, the investment in Tech City and similar ventures has to bee seen as a good thing. As a Web Design Company in London, we consider this to be very encouraging news indeed! Our talented team of web designers and creative types have vast professional experience when it comes to helping businesses engage with their customers. Whether you’re looking to update your web design, develop an SEO strategy or invest in a brand new bespoke website to help promote your start-up company, we’re confident that we’ve got the team that you need to help take your business to the next level. If you’re looking for a web design agency who are committed to innovation and excellence then we would love to hear from you.